In 1921 the sculptor Henry Moore moved to London from Leeds. Soon after, he began visiting the national museums, studying the art of many cultures and rapidly expanding what he called his ‘form-experience’. I n 1929 Moore set up a studio in Hampstead, which put him within easy reach of the the British Museum and the V&A, his passion for which is famous. Less well-known is his love of the Wallace Collection, which was effectively his local art museum. In correspondence and interviews throughout his life, Moore referred to the ‘many hours’ he spent at the Wallace Collection. Interestingly, he is explicitly clear on his reason for coming here. He came for the armour. "…rocks, shells, bones; natural forms as these, along with the human figure which has been the basis of most of my sculpture." "there are universal shapes to which everybody is subconsciously conditioned, and to which they can respond, if their conscious control does not shut them off." Sallet in the 'Corinthian' style. Probably made in Brescia by Pietro de Castello. North Italian, c. 1470. 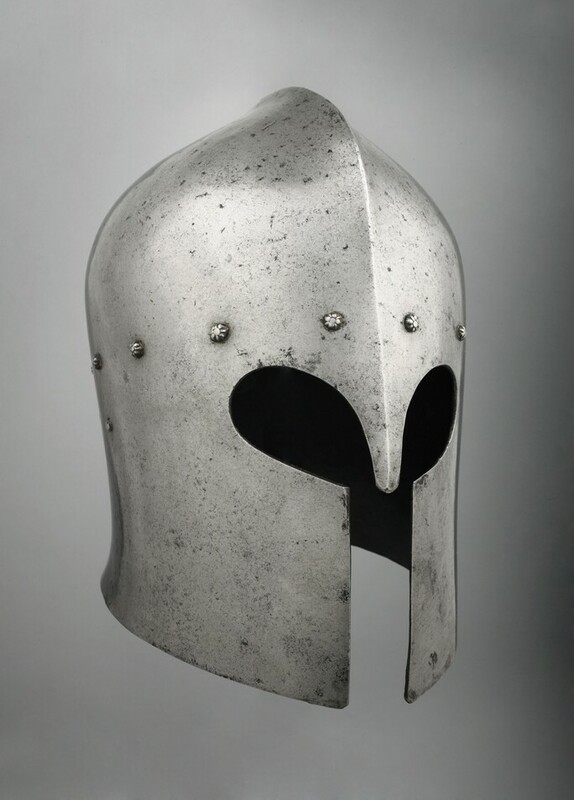 With interests such as these, it is perhaps not surprising to discover that Moore was fascinated by armour, and helmets in particular. He sensed that they were ‘objects of power’, sculptural forms whose vitality flowed from their function– to protect another vulnerable structure inside of them. At the same time, armour also appealed to Moore’s awareness of the fundamental importance of anatomy, as he put it, ‘the human body is the basis of all sense of form that all of us have.’ As an artificial exo-skeleton, armour is an augmentation of the human anatomy, a sculpted shell which accentuates some aspects of the human form while minimising others. Bascinet or barbuta. North Italian c. 1380–1400. Moore’s numerous visits to the Wallace Collection Armoury in the 1930s and 40s produced a large number of helmet studies- drawings made both during and after trips to Hertford House. This work formed the basis for his Helmet Head sculptures, works created both at the time and in subsequent decades. 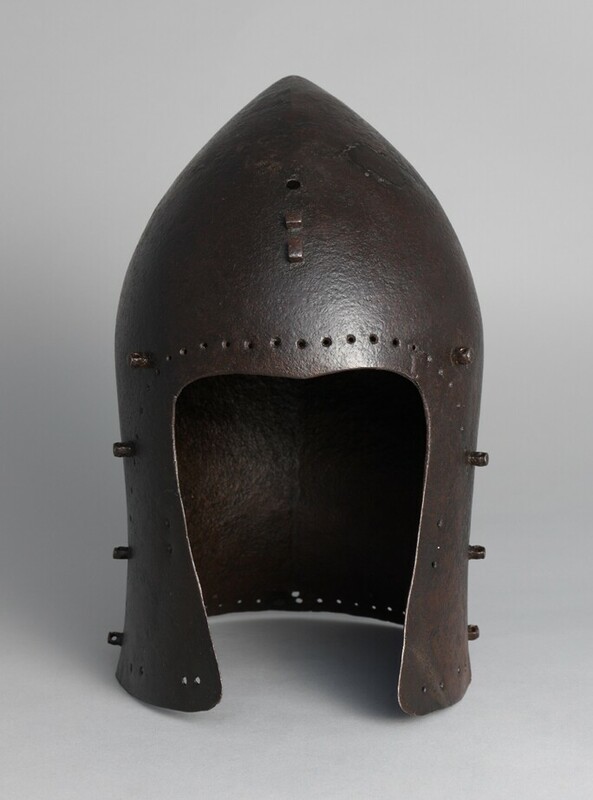 The earliest sculptural work directly inspired by helmets in the Wallace Collection is The Helmet (1939-40), which in turn was followed by Helmet Head Nos. 1-7 (1950-83), and by numerous other works including Small Helmet Head (1950); Helmet Head and Shoulders (1952); and Nuclear Energy (1967). Remarkably, despite the abstract nature of Moore’s work, he successfully retained the essence of the sculptural form and identity of the objects which had provided him with such vibrant inspiration. A comparison of Moore’s sculptures and helmets from the Wallace Collection reveals much about the artist’s perceptions, his ways of looking, his interests and his intentions. We can see which aspects of these objects most appealed to him, and we can follow his method as he takes certain aspects of the form of one helmet, and combines it with the face-opening of another. We can sense him pondering the implication that a helmet must have contained something or someone, an inner nature now mysterious and unknowable. Sallet in the 'Corinthian' style. Probably made in Milan by Antonio Missaglia. North Italian, c. 1450–70. 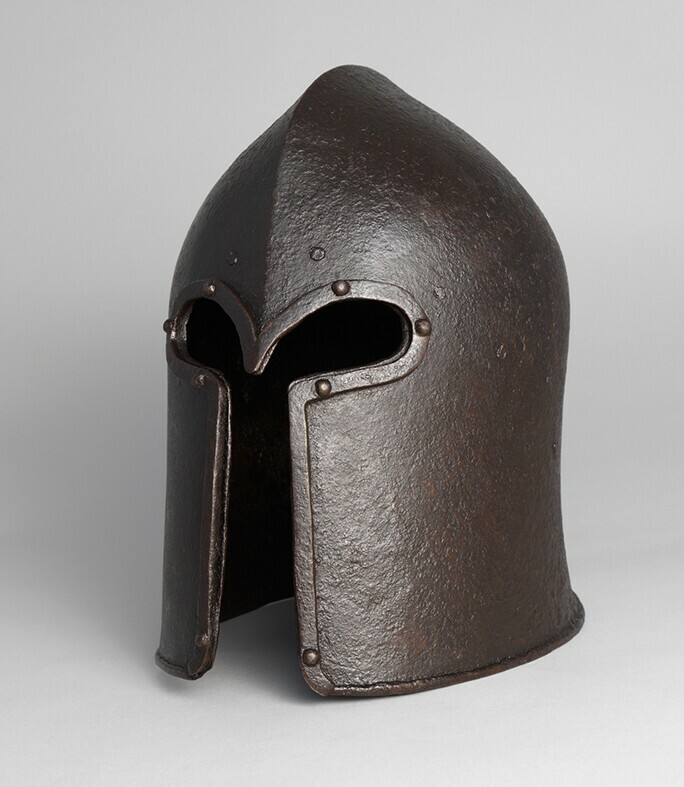 The crucial role played by specific helmets and armour in the Wallace Collection in the story of the life and career of Henry Moore remains almost completely unknown. While his general comments about visiting the Wallace are familiar to Moore specialists, no one has ever tried to identify the objects which most interested him. Therefore the precise connection between the Wallace Collection and his ‘Helmet Heads’ has remained obscure. Until now. "The armour idea is this hard covering or shell, to something inside it… And it is like, it’s the same idea as the shell of a crab or a lobster or a snail, protecting a very vulnerable form inside it. It is a fundamental form idea." 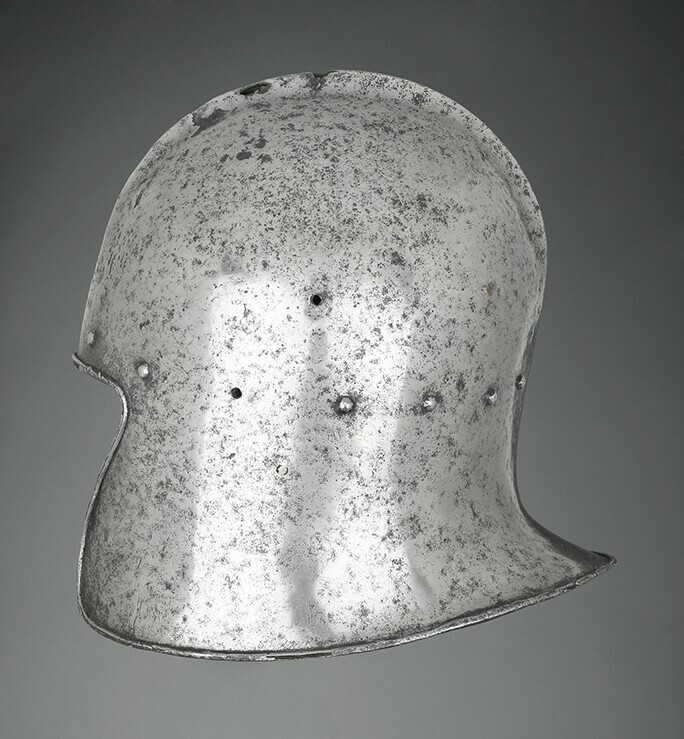 "… whether we know it or not, we are emotionally affected by shape, pure shape, by roundness, squareness, sharpness…"
Dr. Tobias Capwell is Curator of Arms and Armour at the Wallace Collection and co-curator along with Dr Hannah Higham from the Henry Moore Foundation of Henry Moore: The Helmet Heads, which received a Sotheby’s Prize commendation.